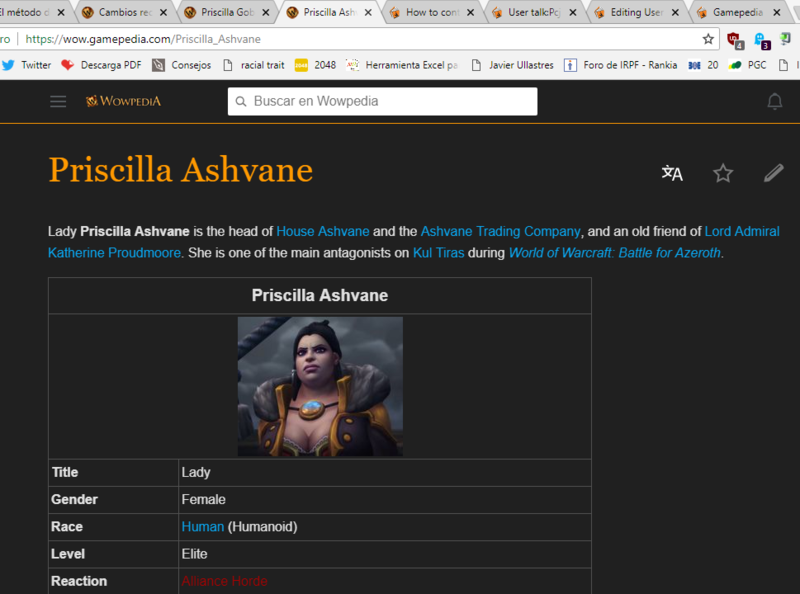 I just wonder why the english wowpedia interface has changed from one day to another in one of my computers. I don't know if is an internal error from Wowpedia with Windows 10 users or a new ongoing design. My questions are: Did Wowpedia staff change something? Is there any plans to export this interface to the spanish wowpedia? As admin I like to know it before. 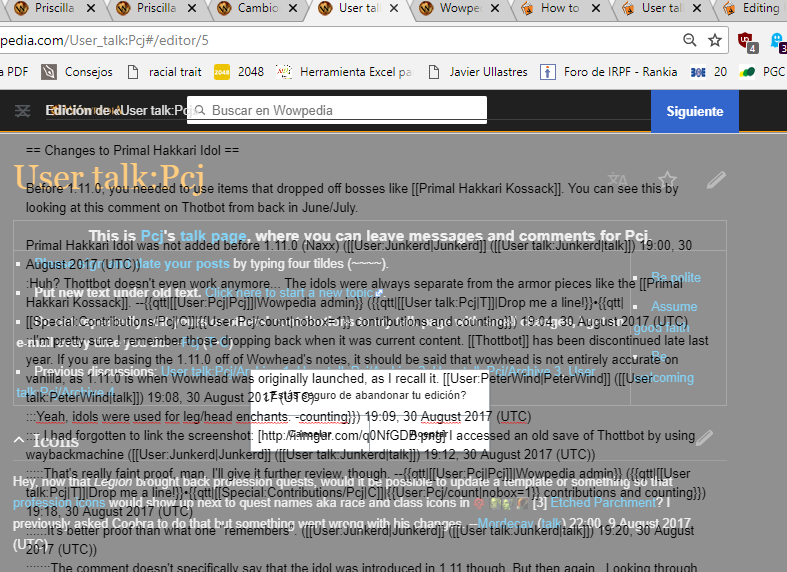 By the way, I write you here because is impossible to send you a message in yout Wowpedia talk page. The interface is totally messed up. I noticed you issued a block on my account on WoWpedia. I also noticed you curiously chose to forgo the guidelines that recommend you reach out to the person you have an issue with beforehand. This page was last edited on 28 March 2019, at 10:42.